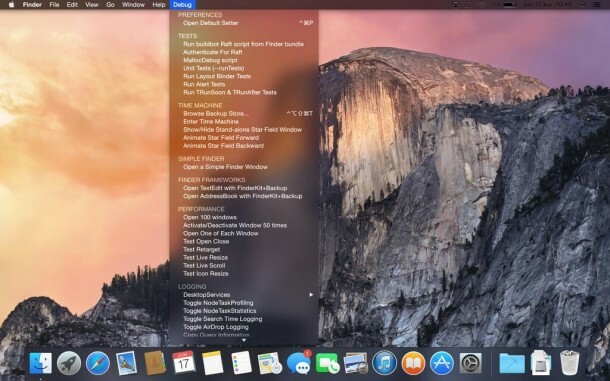 Mac users running OS X Yosemite Beta 2 can get a glimpse at the upcoming “dark mode” feature that was mentioned briefly during the Yosemite overview presentation during WWDC 2014. Essentially, dark mode turns many user interface elements of OS X Yosemite into significantly darker variations of themselves, swapping out whites and light grays for blacks and dark grays. With OS X 10.10 Developer Preview 2, this darkening effect is limited to menubar items and the Dock, but it’s possible the visual effect will reach the broader window coverage and theme of OS X Yosemite as well. If you’re currently running the most recent version of OS X 10.10, you can try the incomplete dark mode effect out yourself by using a defaults write command. Follow that command up with the following command sequence to forcibly refresh the UI elements and Dock. You can also log out and back into a user account for the change to take effect. 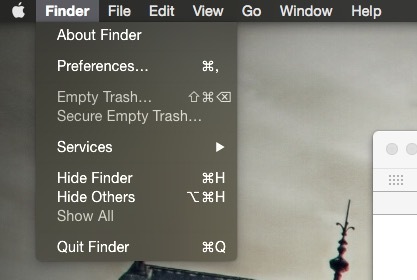 You should instantly see the changes in the menu bar and OS X Dock. It’s unclear whether additional user interface elements will change with the dark mode feature, but Beta 2 is the first developer build of OS X Yosemite to include a look at the feature. These screen shots showing Dark Mode in Yosemite are provided via MacRumors and @HamzaSood, who discovered the defaults string and posted it on Twitter. 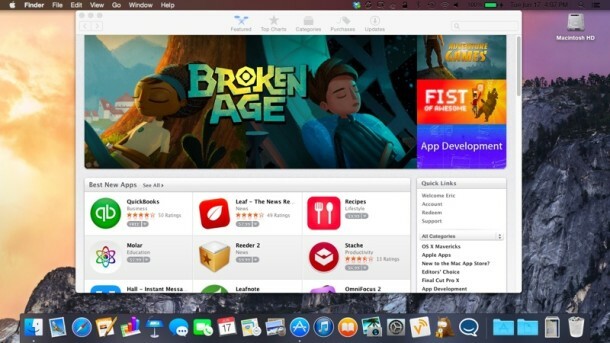 OS X Yosemite is already well known for offering a fairly major visual overhaul to the general appearance of the Mac UI, the first significant change to the window-dressing of OS X since the ending of Aqua and the brushed-metal appearance. Subtle changes were also introduced from 10.6 to 10.7 that persisted through Mavericks as well. The final version of OS X Yosemite will be released this fall. Reminds me of an Unsanity haxie I had a few years back. Would be nice but I don’t see that happening. There is nothing stopping the developers from offer a dark theme in their apps though. It doesn’t work on my iMac 2013 with Mavericks 10.9.3, I have already tried it with the kill commands and logging off. It just doesn’t change anything. Oh my bad then, I thought it was available on Mavericks. for me too… not working at all!!!! This feature has been removed in subsequent developer builds. The option no longer appears in System Preference->General, and the command line above does not work either. I’m guessing this was an experiment that didn’t work out, and they probably have more important things to be working on (like the weird shimmering effect you sometimes get on the translucent sidebar when you use the social media options).